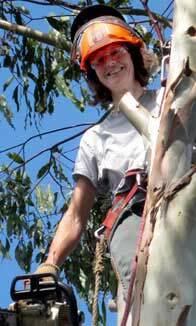 Lesley Baker is a qualified Tree Surgeon (NCH Arb) with over 20 years experience. She trained with the National Trust and established GB Tree Surgery in 1989. Lesley and her team are committed to providing a high quality service which is safe, reliable, and most importantly professional to all her new clients, as well as the many satisfied existing customers. We go out of our way to provide a clean and considerate service. You can be assured that the many years of experience and in depth knowledge will be used to provide you with the very best of advice and care to meet your requirements.